What should be surprising to hear is that I somehow failed to mention that yesterday was the 27th anniversary of the GameBoy's Japanese launch. Yes, that means the GameBoy first hit store shelves in Japan all the way back on April 21, 1989. 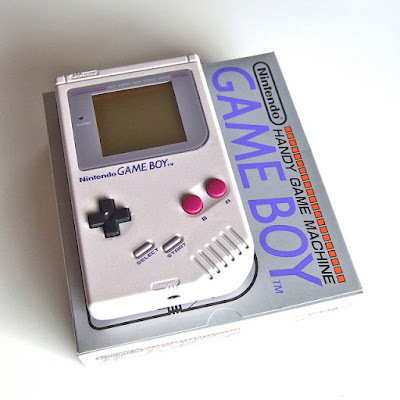 In case you don't have a memory like an elephant (don't worry, neither do I), the brick-sized portable didn't make its way to North American until three months later (on July 31). And Europeans had to sit tight until late September of the following year. I've been around the block a lot of times, so of course I remember reading about the GameBoy's Japanese release. Actually, I remember more than that--I remember salivating over the impending North American release and how it would mean I'd soon be able to have a tiny NES on me at all times. That wasn't entirely the case, of course, but that's how it seemed back then. The GameBoy hardware and software seem quite a bit less impressive today, but that doesn't mean either of them are unimpressive--or at least they aren't in my mind. In fact, the system's design is one of my all-time favorites. Plus, its games catalog is chock-full of underappreciated (and even unknown) classics--in my humble opinion, naturally. Oh, and you should read through my many "Year of the GameBoy" write-ups. I'll publish more of these this year, by the way--despite the fact that doing so effectively will make it my third "Year of the GameBoy." Are any of you GameBoy fans? Even if you're not, maybe you're a fan of a particular GameBoy title? Regardless, please share your thoughts on this momentous occasion in the comments section below.